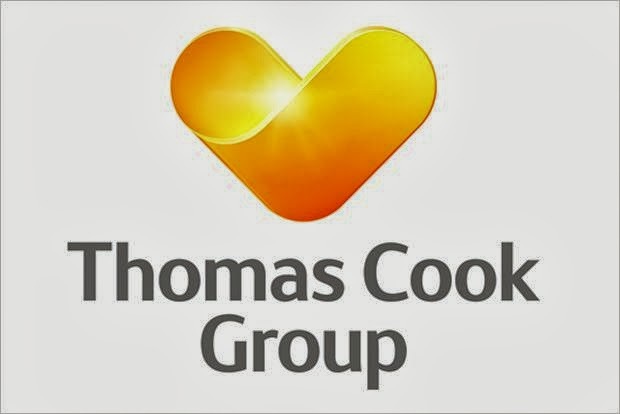 Thomas Cook have come up with a shiny new logo and ditched their famous "Don’t just book it. Thomas Cook it" strapline at the same time. I'm not sure how much influence they expect the new branding to have but according to Marketing and e-commerce director Mike Hoban, it's going to be a lot. 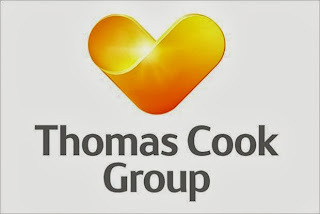 According to Mr Hoban, the new identity "better reflects Thomas Cook’s new, digitally-focused business plan. The three key elements are a heart, a mark and the words ‘let’s go’. The heart shows that what we bring to the market is expertise and experience; that holidays are what people look forward to and it is golden because the sun is critical to holidays. "The metallic grey represents our move to digital and mobile, and ‘let’s go’ is about the requirement from us to make sure deliver on our promises to customers as well as working as a message to our people, making sure we meet customer demand and expectations," he said. Exactly how does metallic grey represent digital and mobile? And how does a heart represent a company having expertise and experience? PR guff I'm afraid. No logo can do that, only the staff, the service and the product can.